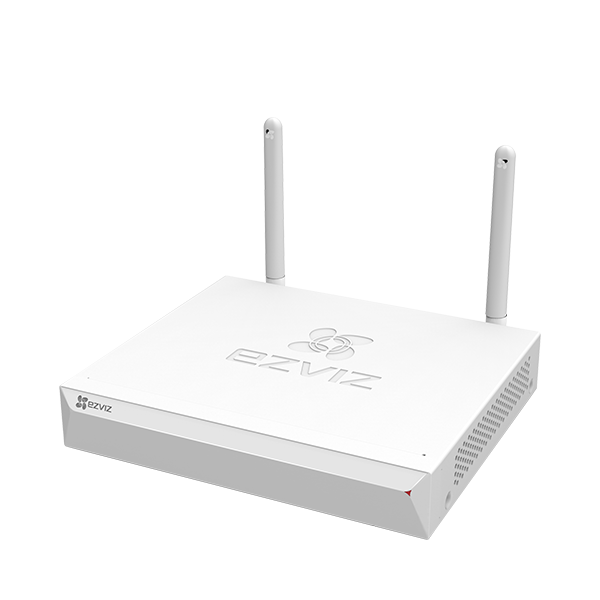 Featuring powerful antennas, the C3W (ezGuard) delivers long-range transmission with strong penetration and anti-interference capabilities. ezGuard 1080p camera 2 Pack with 16GB storage card is rated 4.6 out of 5 by 171. 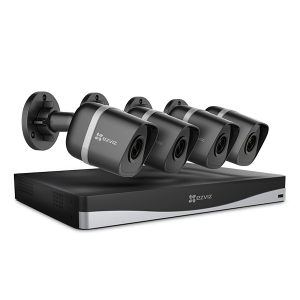 Rated 5 out of 5 by Itzasecret from Exceptional video quality, easy setup With this being my second camera from Ezviz I am now assured of the excellent quality of devices they offer. This was quick and easy out of the box to set up. The camera housing is solidly built and not flimsy assuring a lasting product that will hold up well to the elements. Set up is simple. Once powered it easily connected to my wifi. Create an account for viewing and install. This camera does require a permanent power supply. I used an outdoor extension cord for power. Video quality is exceptional. I installed mine on my front porch allowing for quick viewing of visitors. 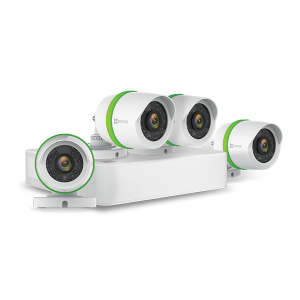 Overall I am once again extremely pleased with Ezviz products. Affordable and well constructed. Rated 5 out of 5 by Fellica from So many Great Features. The ezGuard 1080p camera has so many features that I really like. 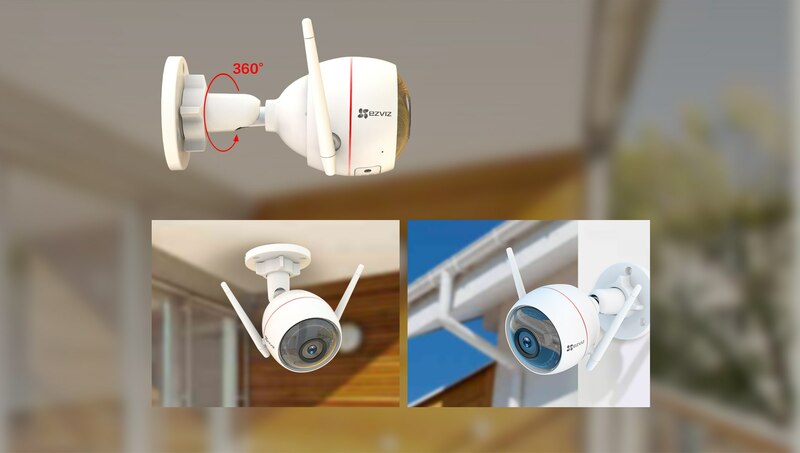 You can detect any movement that is in the view of the camera, can use it to talk to the person outside with your phone, set alarm for intruders, waterproof camera, and cripsy images. I really like this camera and it works really well in all situations. I mostly like it more that I can talk to the person outside when I have packages coming in that I might need to sign. It gives me a peace of mind to feel a bit safer knowing what is going on outside of my home. 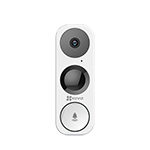 I think this camera is great and easy to install especially if you're someone who isn't into technology that much. Rated 4 out of 5 by QueenBe from Good camera easy set up I have been using this product for a little over a month now and have to say I am so pleased with it. Love the play feature that scrolls through the videos taken for the day. It is motion sensored which allows your property to be monitored 24/7. It also has a two way speaker that allows you to listen and speak to anyone the camera is located. I have noticed even light sets off the motion detection on the camera which is a bonus. You can take still pictures with the app as well. I use this in my backyard and have it on my garage. I will say I use it daily to live watch my kids playing in the backyard shall I be doing something inside. Rated 5 out of 5 by Lindsaymh from Great Quality- Wide View with just 1 Camera I love the ezGuard 1080p Outdoor Bullet Camera with an external dual antenna. It has such a big view, I can see so much more on this camera than my others! Its great that you can download the Ezviz app on your smart phone so you are able to check your live footage or do a playback whenever you need. Im also able to talk through the app and hear what the person in the cameras view is doing or saying. Its such a great feature. The security alarm and flashing lights are a big plus if someone is doing something they shouldnt on your property. I plan to buy more of these to replace my old ones because the wide view is a must for me!! Rated 5 out of 5 by MizzDebbie from Amazing size and Easy to Install With the way things are going int his world today a home security system is pretty much one of the best ideas ever, So I decided to try out the EZVIZ Outdoor Smart Wi-Fi Camera, which by the way comes with Siren and a Strobe light. I figured it would have a million different parts and connection needs and well it simply is easier than that. But i'll get into that later. I want to show how this camera is built and how it looks, it is not a big gawdy thing that stands out which is great because you want to have it hidden so no-one knows where it is placed and cannot tamper with it. I have taken pictures and am sharing them with you to give you and idea of it's build. Rated 4 out of 5 by brianna from Great camera and no more sneaking around I have to say what a great camera.. The fact that it comes with wifi and a Storage card is just amazing! I have had a hard time with neighbors lately and I can honestly say that this has fixed those issues.. When I got a notification to try this camera out for free I was excited to try something to see if it would work and by god it did... The installation was very easy. I would highly recommend this to anyone. Not only do you have the privilege to keep an eye out on your home and things you can also fill at ease that no one will bother your things.. Once they see that camera they will think twice of what they are doing! Rated 5 out of 5 by Dj1977 from Gets the job done! When my ezGuard 1080p camera arrived, I was excited to look at it right away! I had the perfect spot I could use it. It is easy to install and has a great picture. I personally love the app that allows you to view your camera footage from anywhere. It also has an alarm function which is pretty nice! It has a speaker and you can speak through it allowing anyone on the other end (in front of the cameras view) to hear you which also helps with security! It's durable and waterproof and has good night vision too. It has everything I would expect from a great surveillance camera. This little camera packs a huge punch and I definitely recommend it for your safety concerns. Along with the power adaptor, there is another white cable/lead in the box. What is this for? My C3W cannot produce wifi AP, can I do factory reset to recover it? What is the maximum range for its WiFi transmission and how many walls can it go through? 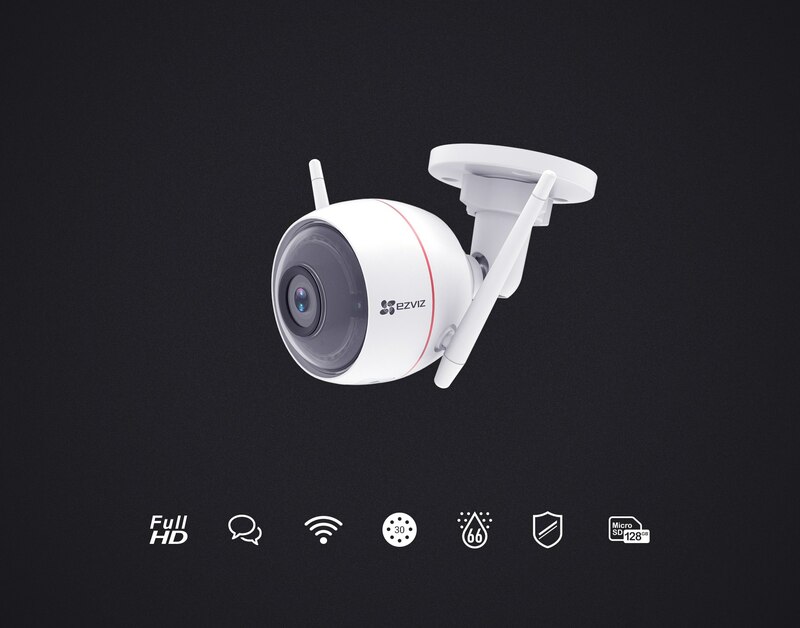 Can this Ezguard camera's feed be displayed on Alexa devices such as Fire Tv Stick? Is this compatible with the X4 16 Cam NVR? 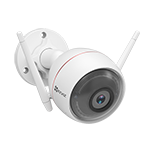 Hello, I have recently purchased a EZVIZ kit with NVR X5C and 8 cameras model C3W. I have installed, but some features seems not working. 1) Two way audio: we can only hear but cannot speak. 2) Facial recognition not working Please let me know. Hello, if i use SD Card for this camera, can i playback directly from my phone?